So now you have a beautifully upholstered piece of furniture. Either you have just finished it in one of our Workshops, or it has been completed by your local upholsterer. 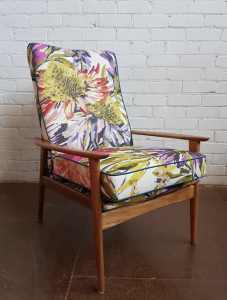 The beautiful fabric that you deliberated and agonised over choosing looks perfect, and you don’t want anyone to touch it, let alone sit on it. Don’t even mention the ‘child’ or ‘pet’ words around your beautiful new piece of furniture. So do you need to use a fabric protector like Scotchguard to protect it? The safest answer is often yes, because we are afraid of ruining that beautiful new fabric, but do we actually need to? 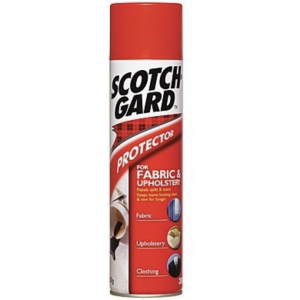 What does Scotchguard and the other fabric protector sprays on the market actually do? They are a liquid product that soaks into your fabric and when it dries, it provides a barrier to avoid any spills soaking in too quickly. This gives you time to grab a cloth and pat it dry. They aren’t a foolproof answer, as it won’t always avoid staining completely, depending on how quickly you can clean up the mess. Depending on the fabric you have chosen, it may not be required to even spray your fabric. Some upholstery fabric manufacturers design their fabrics to be easy care, and some fabrics are naturally more repellent than others. Consider what the composition of the fabric is, and what the manufacturers instructions are. Natural fibres are very absorbent, and some weaves can encourage spills to soak into the fabric, while other weaves are more repellent and the spill is able to bead on the surface for a moment before soaking in, allowing us more time to clean it up. The best (and really only) way to know is to test it, preferably before the project begins. 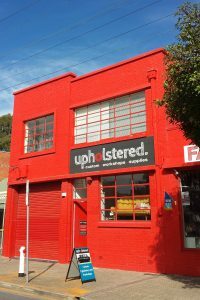 This is can be a huge benefit of working with your Upholsterer in choosing the fabric you use for the project. 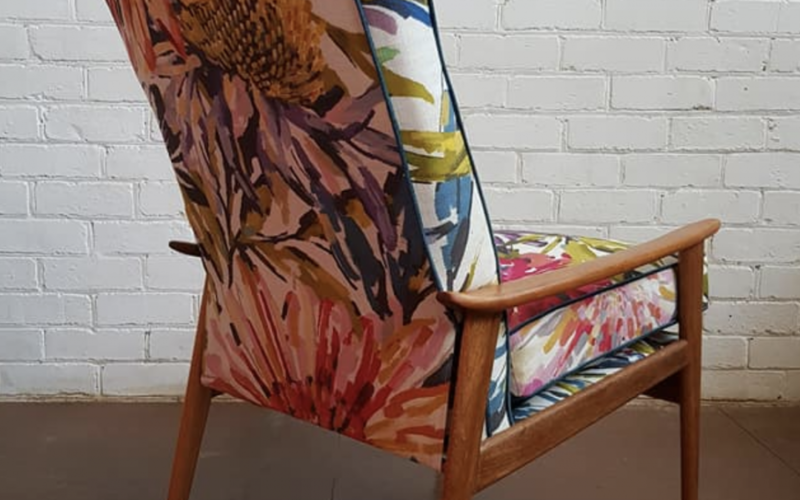 You might be after a certain look, and they can recommend the same look in a more durable fabric that will suit the purposes of the piece and the family you have at home. 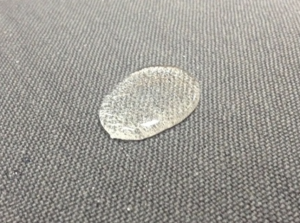 If, after testing the fabric and they soak the water quickly, it is highly recommended to protect it. You can weigh up the risks and benefits when you are making the decision, and this will ultimately guide your decision to protect or not to protect. Some fabrics also have specified cleaners available for purchase from the manufacturer, so it is always worth asking. Once you have Protected your fabric, it’s not a free pass from there, as all of the products on the market still only act as a barrier. Protecting your fabric will only keep it clean, if you clean it. Oils from our hands and skin will still build up over time and your beautiful piece of furniture will still need to be regularly cleaned depending on the level of use. Once cleaned, you will then need to reapply the fabric protector to keep that barrier working for you.